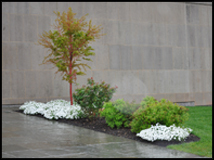 Many customers don’t realize the importance of proper tree planting. Unfortunately, there are many companies that will take your money & plop a tree in the ground. Then 10-15 years later the evidence of improper tree installation rears its ugly head. Girdling roots, dieback etc, to name a few. Trees will have enough stresses to deal with throughout their life span without having improper installation be one of them! 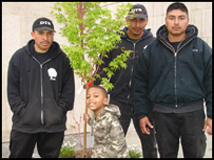 There are many factors to consider when planting trees such as location to be planted and species. DTS can guide you through the selection process or make the selection for you!